AuthorTrishCategoryPump Up your Protein Shake! Boil water + brew tea bags. Let steep a minimum of 3-5 minutes. Removetea bags and squeeze our all the spicy goodness. Allow tea to cool a bit. Add tea and ice to the shaker bottle. Shake and shake until ice is melted.There will be a frothy foam on top. Add heaping scoop of protein powderthen shake and shake until well blended. Allow to rest for 3 minutes thenshake and shake again. Add pumpkin and pumpkin spice. Shake well and allow to rest. Sometimesit’s easier to blend in the pumpkin with a hand blender or counter topblender. Add sweetener if desired. Pour into a lovely glass, top with whippedcream + a garnish of spice and enjoy! 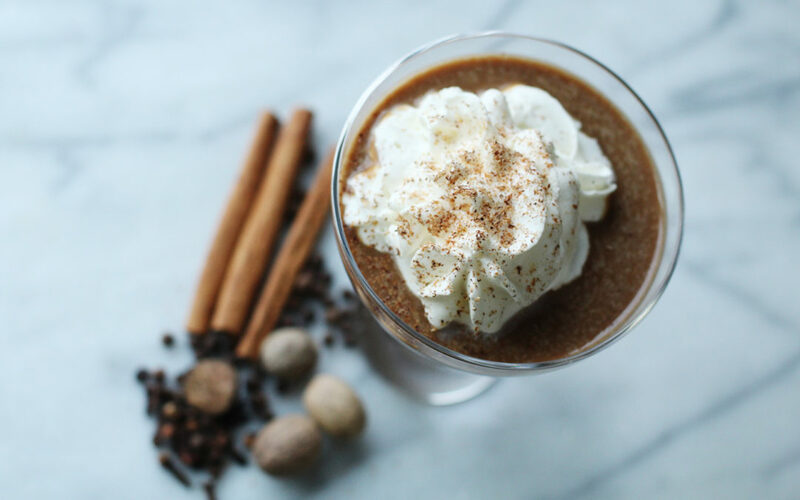 Alteration: Make a chai-less pumpkin treat by skipping the tea. Use 12 oz of water, almond/rice milk (skip the ice). Delish!